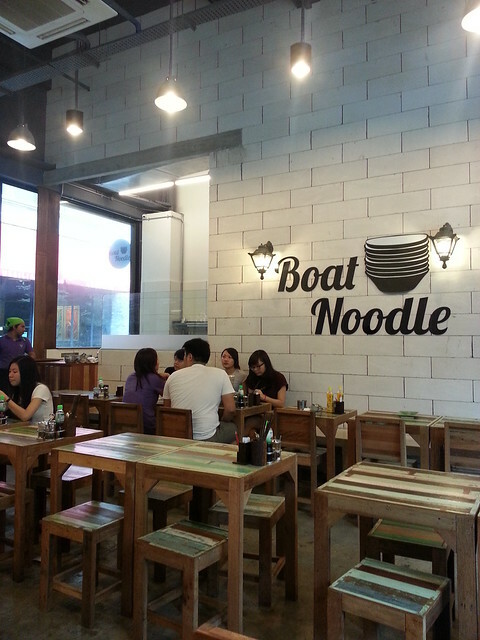 Boat Noodle Restaurant – how many empty bowls can you stack? After seeing a few friends mentioned this new restaurant, we were determined to have a go. The first time we went, it was already closed around 4pm so we ended up having Texas Chicken next door (btw, I love the spicy fried chickens). The following time, we made sure we reached about 1pm. The restaurant was already quite packed, but we got a small table almost immediately. Service was good, the waiting staff, a girl who seated us was very attentive and friendly. 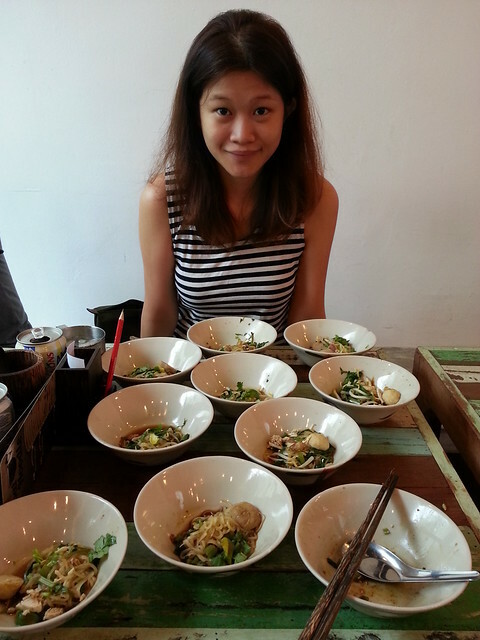 The food menu was small – 2 types of dry noodles and 2 types of soup noodles, going for RM1.90 a bowl. Why so cheap? Cause each bowl has the portion of about two tablespoons of noodles and you’re supposed to order more than one bowl to fill you up. On a bad day, I tend to think it’s a bit gimmicky, but on a good day why not? It’s fun! # – How many can you take? The restaurant’s interior is slightly cramped but not uncomfortable. This is essentially a Thai-style restaurant selling the beef/chicken noodles we’re familiar with on the streets of Thailand. So, the condiments available are naturally very Thai too. 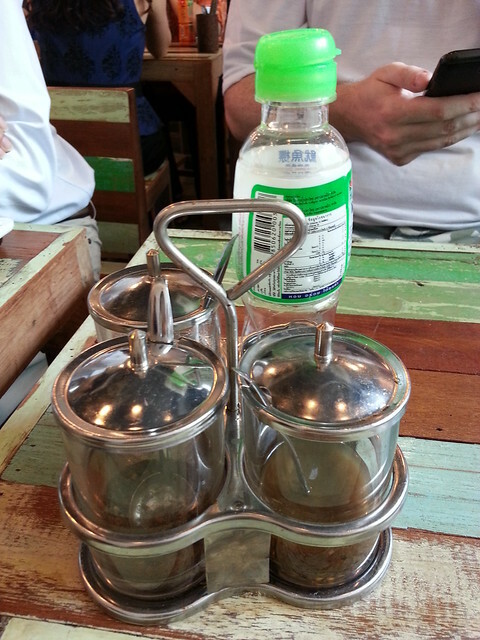 # – The condiments – reminiscent of Thailand’s restaurants. 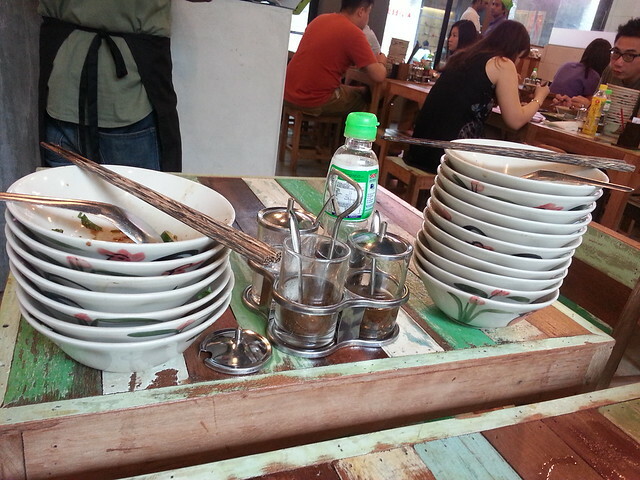 As it’s our first time, we ordered a total of 10 bowls of both dry chicken and beef noodles. # – Our first order. Each bowl had about 2 tablespoon of rice noodles, with gravy heavily infused with spices, a couple of meatballs, bits of meat, fresh herbs and bean sprouts. 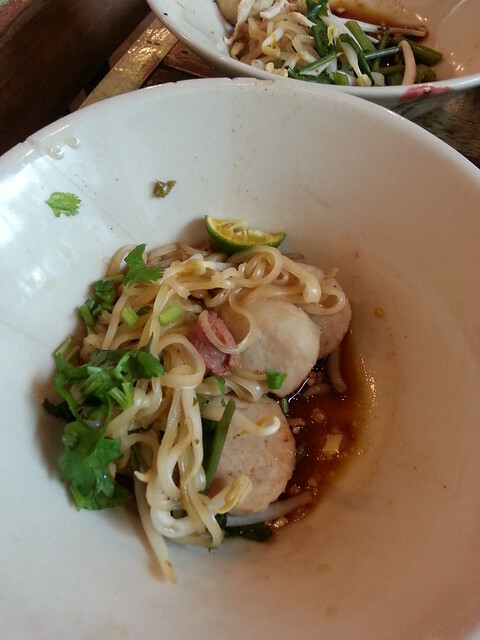 I enjoyed it – simple, honest, delicious noodles. Don’t expect any firework and you will be just fine. Also, I found sprinkling some chilli pepper flakes over gave the noodles an addictive kick! Then we ordered more noodles. # – Noms noms noms! In the end, the hubs chalked up 11 bowls, while I managed a respectable 7 bowls. # – Her vs him. So, will we come back again? Yes. I enjoyed the noodles as what they were, simple Thai street food that is not easily available locally. I was quite skeptical about the mini bowl concept but eventually I found it fun and sociable. Yoko’s at Changkat Bukit Bintang. Fusion goodies at Daikanyama, Changkat Bukit Bintang. A taste of old school Kuala Lumpur. 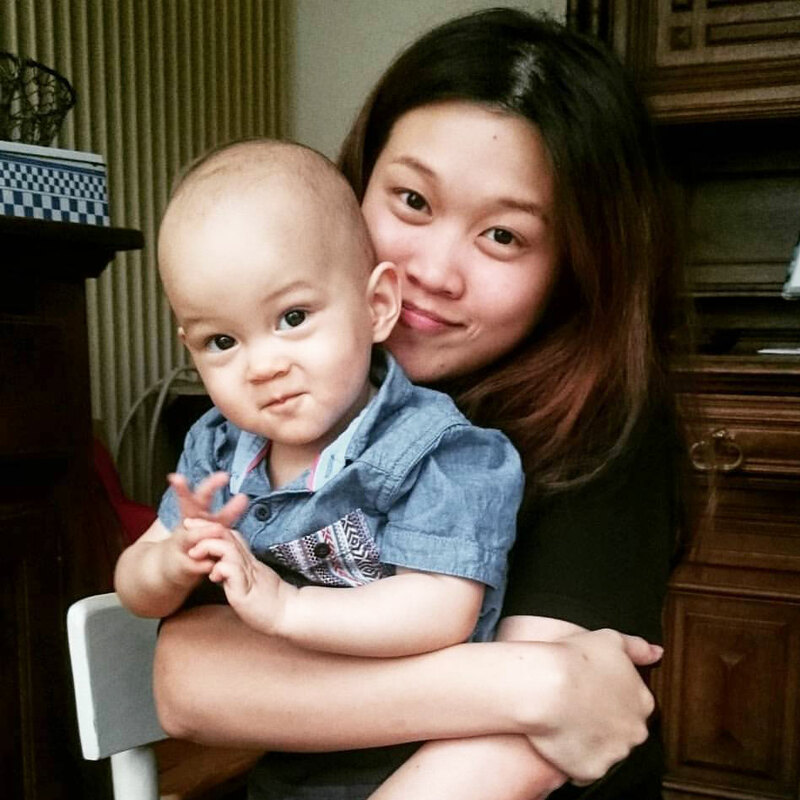 Do unto others as you would have them do to you – the parenting edition. 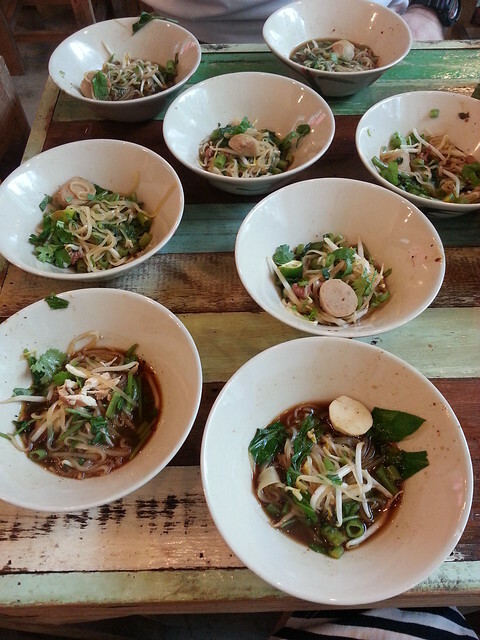 13 Responses to Boat Noodle Restaurant – how many empty bowls can you stack? they are good for you! 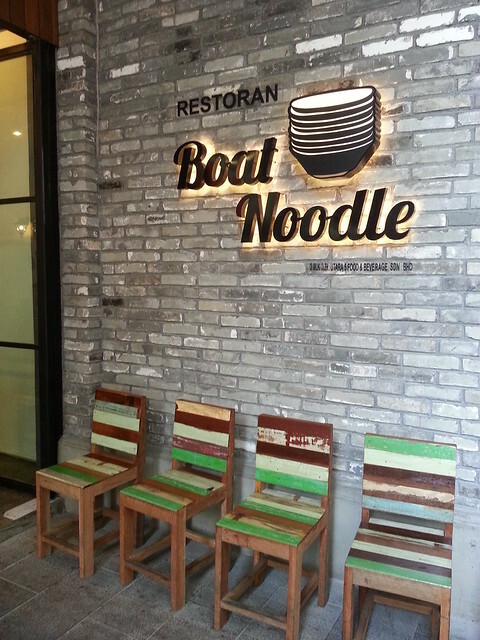 I enjoyed it overall, great service, not too long of a wait, nice noodles and a fun concept. The tables being so close together also leads to people talking to each other about the experience, which is kinda nice. Yeah glad we checked it out! 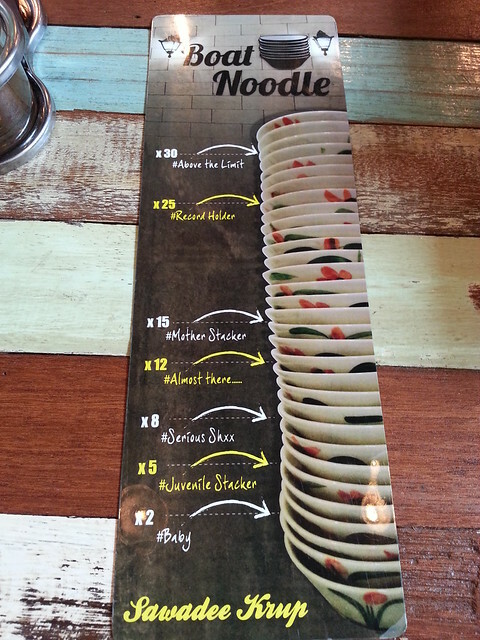 It’s not a gimmick for the noodles to be served in small bowls. It’s the traditional way of serving in Thailand. Do some research before posting. Thanks. I find it quite disturbing having to wash so many bowls with the current water rationing exercise .. it did look quite fun! Wow the food looks so yummy!! Sadly my current state of rotundity would require I stop myself at a baby stack. I’ve have family and friends who have travelled throughout parts of Thailand, Viewnam, and Korea to name a few, and small bowl meals with noodles, veggies and a variety of protien sources are common. My friends also say that with very few exceptions bowl meals are delicious!! They have a new branch at The School, Jaya One !